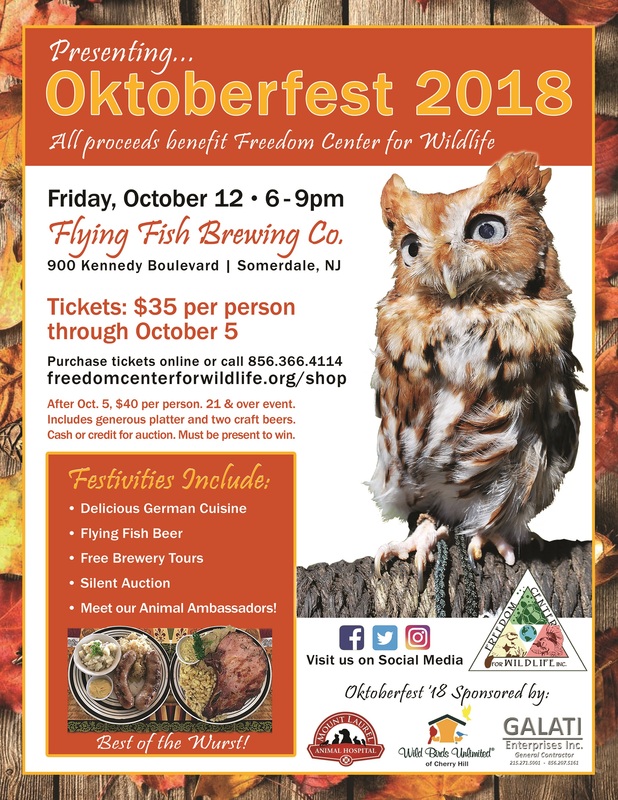 Join us at the 2018 Freedom Center for Wildlife Oktoberfest fundraiser! Support a great cause while having fun and meet our animal ambassadors and hardworking team of volunteers! The money raised during this fundraiser event will be used to repair our avian enclosures, which are suffering from wood-rot. We will have official FCW merchandise available for purchase, and a silent auction. We will also be taking monetary donations and wishlist items. Cash and credit will be accepted for merchandise sales, the silent auction, and donations. No ticket door sales are available for this event. All tickets must be purchased prior to coming to the event.